Vic May is from, Anamosa, Iowa. He grew up in a creative family where he was encouraged to pursue his desire to act in theater. He graduated from Simpson College, then lived in Chicago, acting in the Red Tape Theater and other venues before moving with is wife Mackenzie to Los Angeles, where they currently reside. Some of his recent work includes acting in a Geico / Vikings commercial, modeling for the Centura Health Pioneer Campaign, acting in the movie Trafficked with Ashley Judd, and producing and staring in the short film Adrift. In this conversation we dig into the details of moving to LA and some of the mistakes Vic sees his fellow actors make. We talk about Vics methods for preparing for a part, how to get an agent with a beard, why having a script locked before a production begins is important, how to make progress and stay sane while constantly being rejected, what it’s like to be on the set of a Geico commercial, nightmare acting stories, and much more. I also want to point out that I just saw on twitter that Vic and his team are in the process of raising finishing money for their film Adrift, which we talk about in detail during this podcast. So if you like this man, and want to see him succeed, go to the Kickstarter page here, and help him get this project to the finish line. And if you need a little more motivation, Vic is about to become a father, so help a dad out! If you want to hear more shows like this, rate and review us on iTunes. - - - - - 6 Key Takeaways 1. Biggest mistake when moving to Los Angeles is to only stay for a short period in hopes of finding work. It takes time to build up a network and make progress in the business. You must be patient and always be doing something (take classes, setup meetings, go to auditions). 2. When looking for an acting class, audit as many as you can for free, and find a teacher that matches your style of learning and pushes you to grow. 3. The script you receive for a production is often a direct reflection of how the shoot will be run. If it is terrible (poor grammar, typos, incorrect formatting, etc.) then the production is likely to be disorganized. Unless you are new to LA and desperate for work, steer clear of these. 4. Make sure that your script is locked (finalized) before you go on to location to shoot. This will help avoid heated arguments and costly last minute changes to the shooting schedule. Also, keep the on-set boozing to a minimum. 5. When preparing for a role, first get off the book (memorize the script). If you have time, try journaling from the perspective of the character as a way to get in their mind during a difficult scene. Find what you want from the other character in the scene and figure out how they would respond to your actions. 6. You get told no a lot as an actor. To stay in a positive mindset, take some control by talking to friends about creating and then create something with them (a scene, a short, a skit). Meditate and clear your mind by getting out in nature or surfing. - - - - - Follow Vic May Twitter @jvicmay Facebook.com/jvicmay - - - - - Show Notes (Ep 15) How Vic got started working with Burning Shade Productions [04:24] Move to Chicago to pursue theater acting [19:07] Moving to Los Angeles – pitfalls and advice [25:39] Advice for finding the right acting classes for you [35:44] Production horror stories deciding if a project is worth doing [38:47] Vic’s process for preparing for roles [52:52] Auditioning and growing a beard to get an agent [57:58] Working on commercials [01:07:59] Overcoming rejection as an actor [01:18:47] Vic’s likes and influences [01:22:55] New and up-and-coming projects Vic is working on [01:27:20] Final advice for filmmakers [01:29:42] - - - - - Share Us Make sure to like and share us on Facebook, Twitter and Instagram Subscribe and rate the show at iTunes, SoundCloud, Stitcher, Google Play and more. Download Ep 15: Vic May – Success as an actor in LA, get an agent with a beard, and keep making stuff. 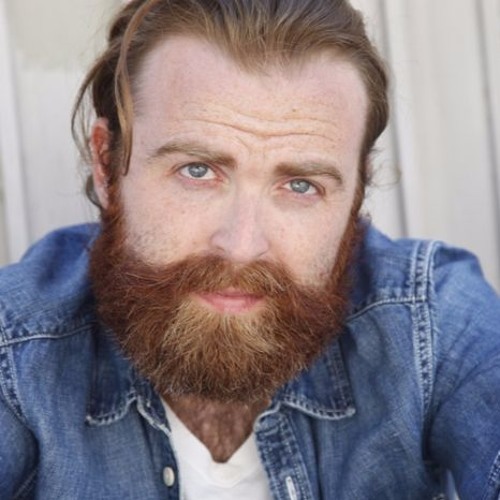 Buy Ep 15: Vic May – Success as an actor in LA, get an agent with a beard, and keep making stuff. Users who like Ep 15: Vic May – Success as an actor in LA, get an agent with a beard, and keep making stuff. Users who reposted Ep 15: Vic May – Success as an actor in LA, get an agent with a beard, and keep making stuff. Playlists containing Ep 15: Vic May – Success as an actor in LA, get an agent with a beard, and keep making stuff. More tracks like Ep 15: Vic May – Success as an actor in LA, get an agent with a beard, and keep making stuff.